The 26000 Series by Haydon Kerk Motion Solutions is a 26mm stepper motor linear actuator. 26000 series linear actuators are available in three designs - captive, non-captive and external linear versions. Available in a variety of resolutions, ranging from 0.013mm to 0.102mm per step. 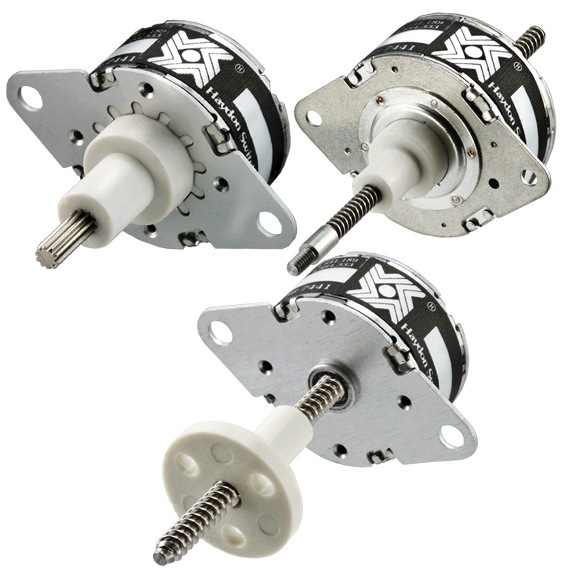 The 26000 series can stack stepper motor linear actuator delivers force of up to 11 lbs (50N). Applications include medical instrumentation, office equipment, appliances, optics, machinery automation and other automated devices which require precise remote controlled linear movements.